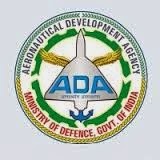 Aeronautical Development Agency (ADA) recently invite online Application from Indian Nationals Candidates for filling up recruitment posts of Project Engineers on Contract basis in various positions. Eligible Candidates can apply through online mode from 29.03.2014 to 12.04.2014. Qualification: Candidates should have done Bachelor's Degree in Engineering from a Recognized university. Age: Candidates who want to apply, their age limit is 65 years. How to Apply: Eligible Candidates would be required to apply online through ADA Website (www.ada.gov.in) on or before 12.04.2014.